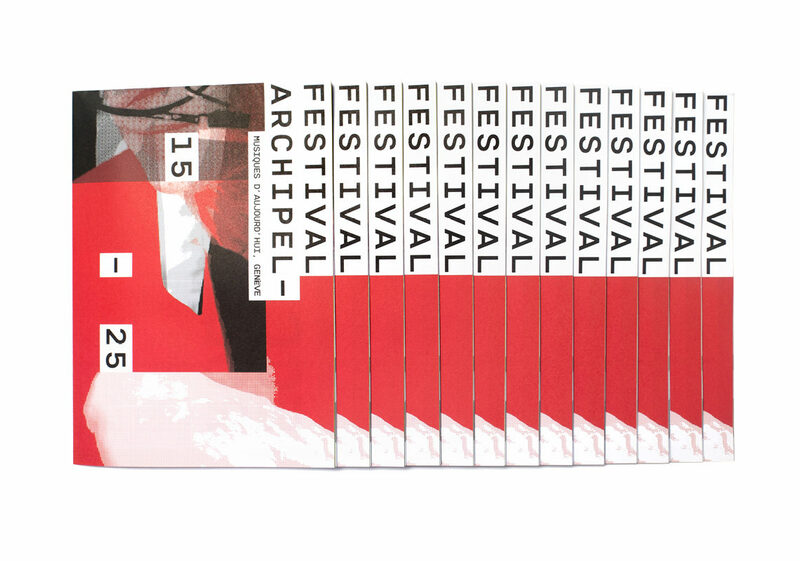 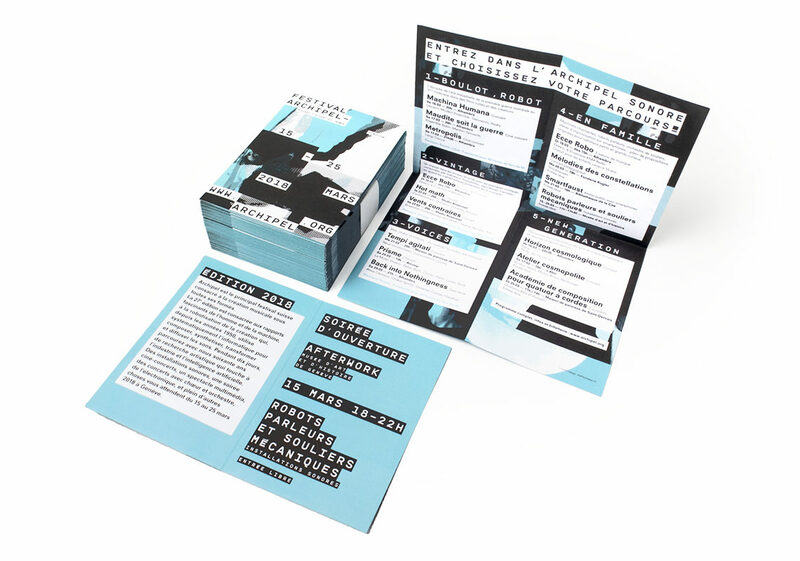 Visual identity for the Festival Archipel 2018, Geneva. 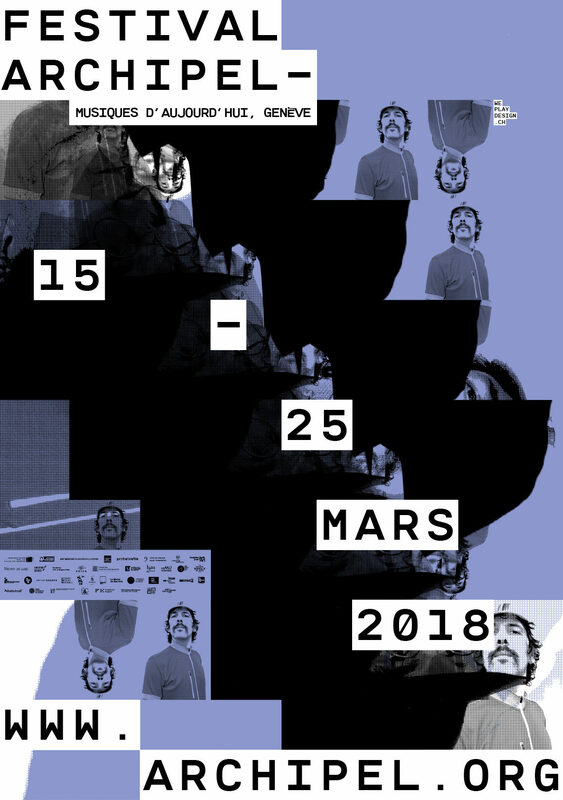 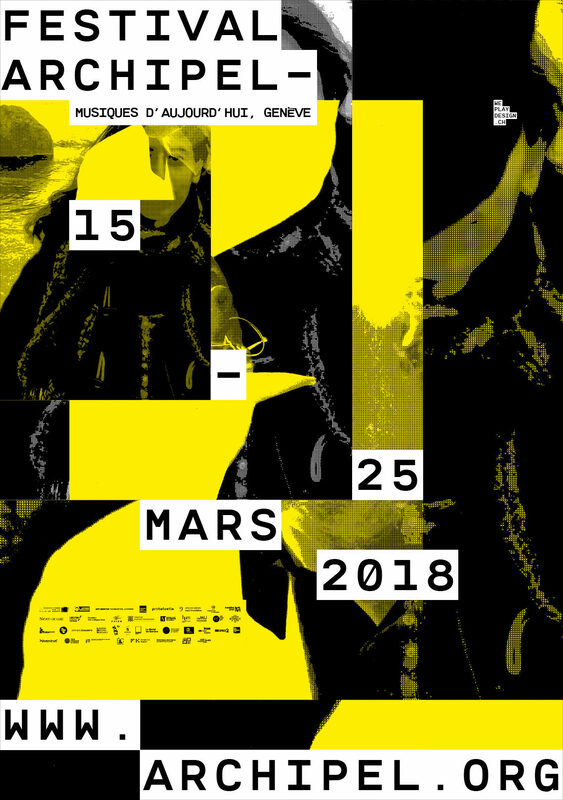 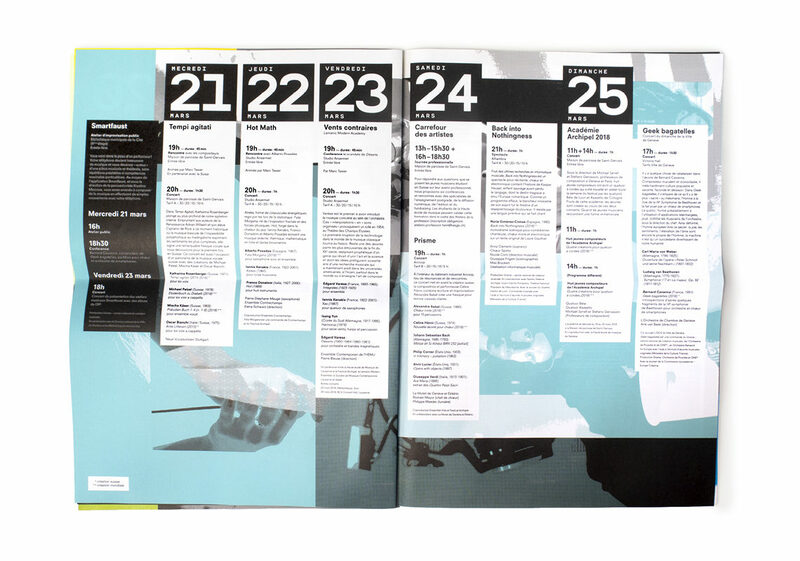 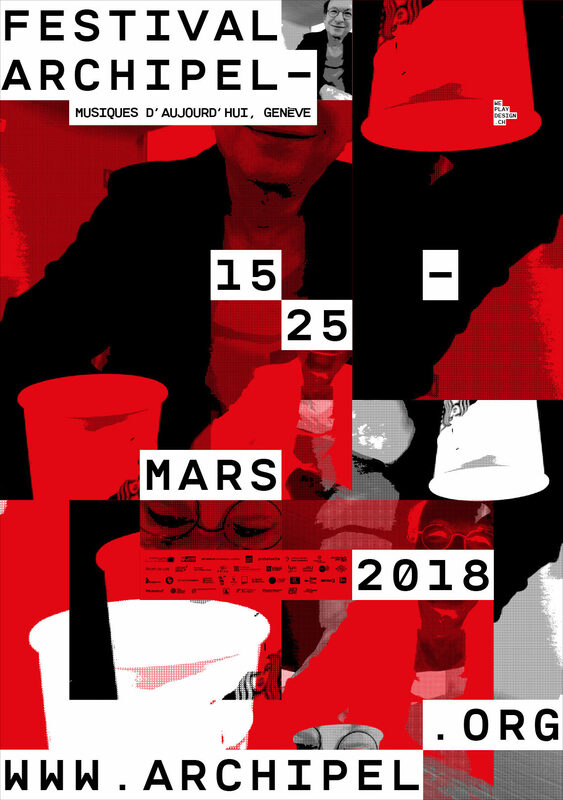 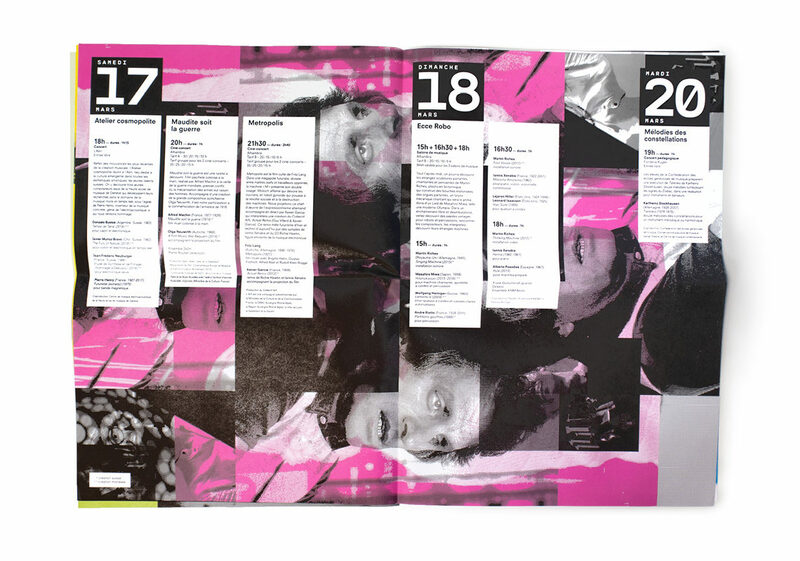 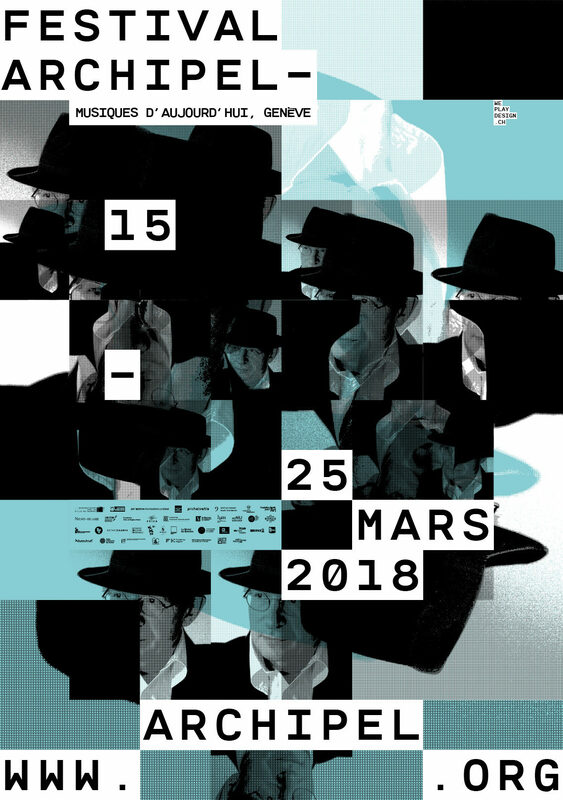 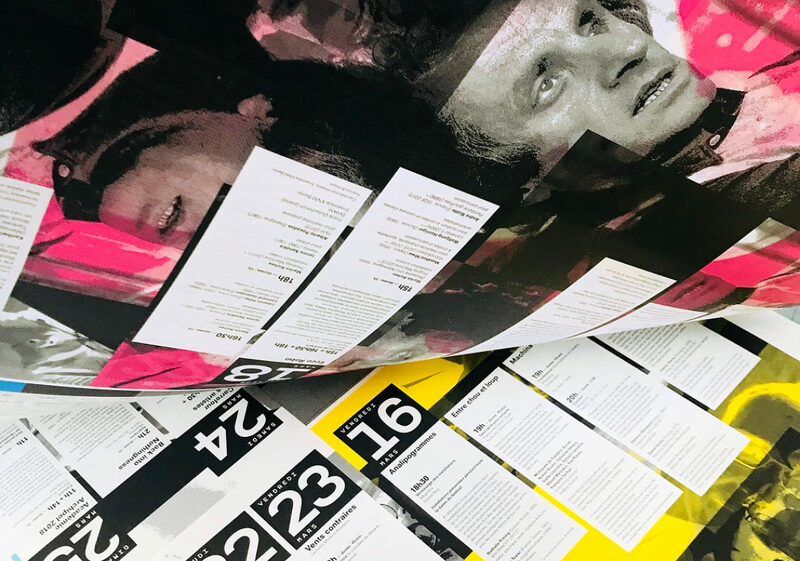 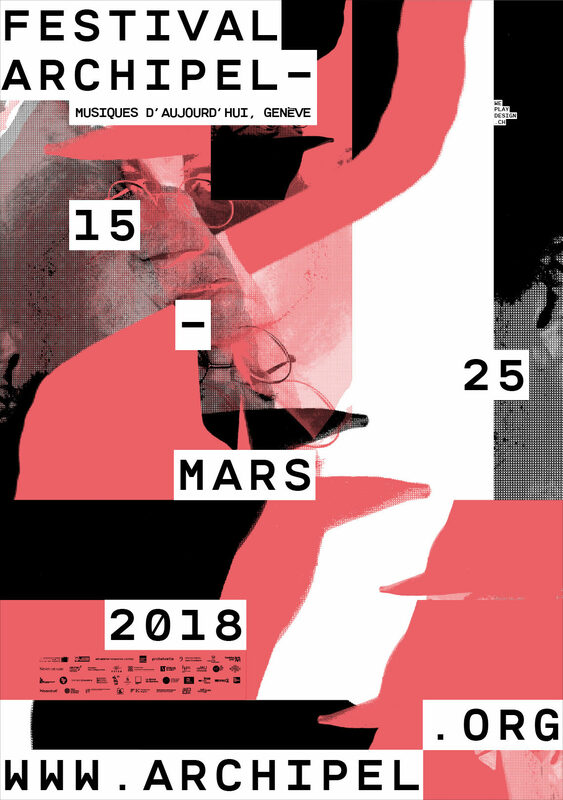 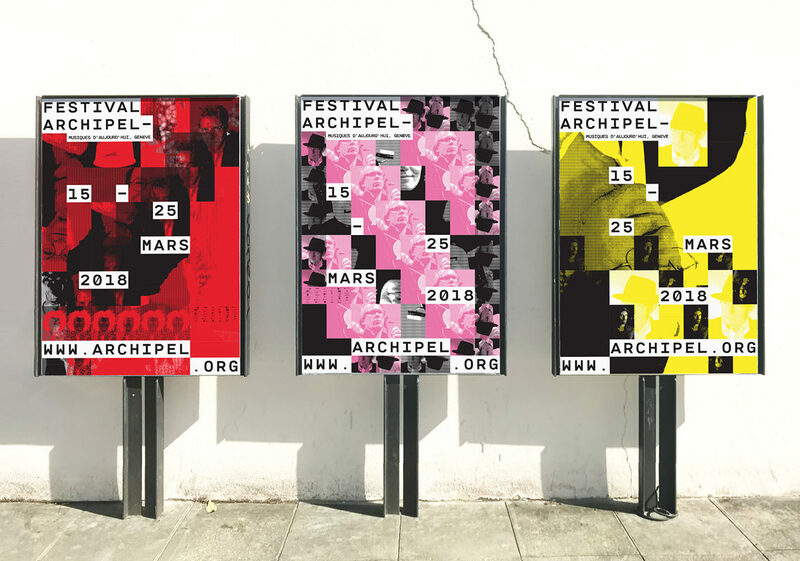 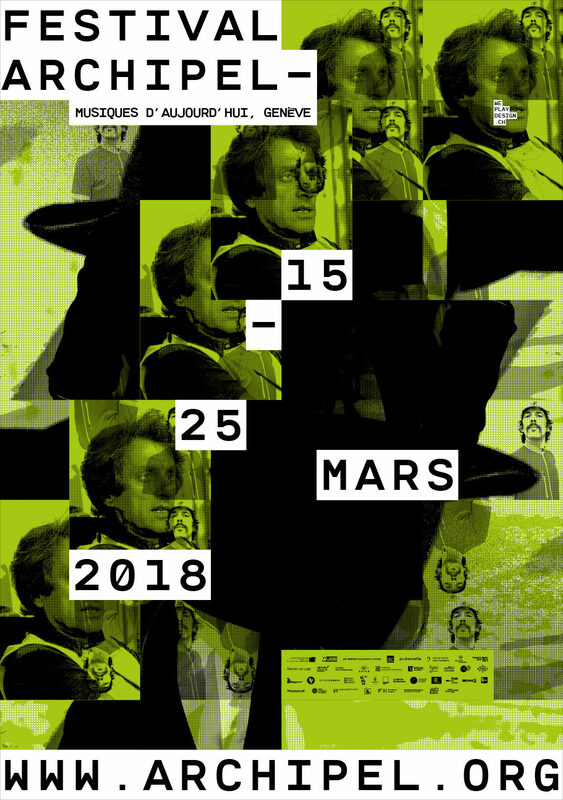 The Archipel Festival organizes each spring a series of events that reflect all forms of current musical creation in various cultural venues in Geneva. 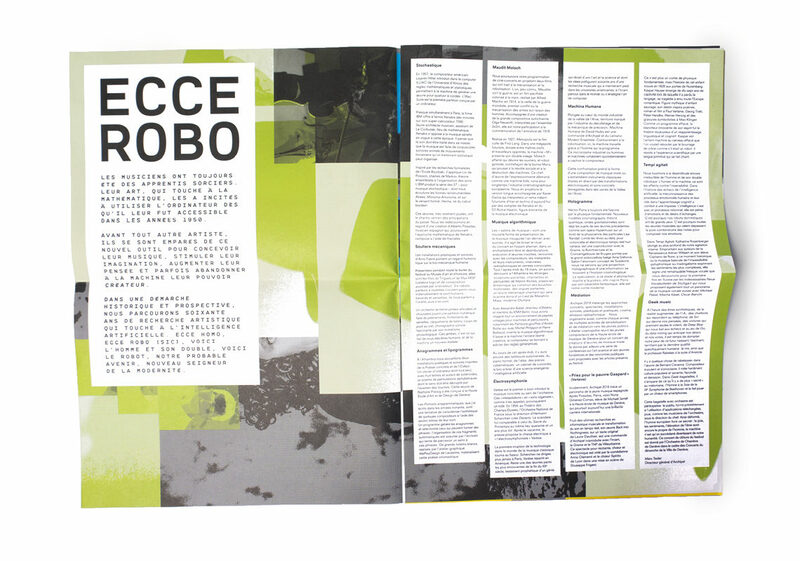 For its 27th edition called Ecce robo, the relationship between the human and the machine is at the heart of the festival Archipel. 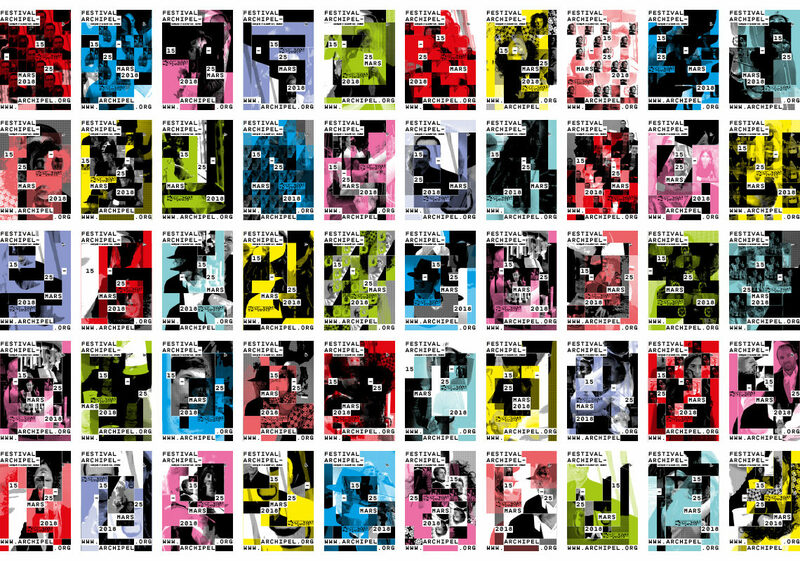 WePlayDesign has developed an algorithm to create a multitude of different and unique posters, all in a series of 500 specimens. 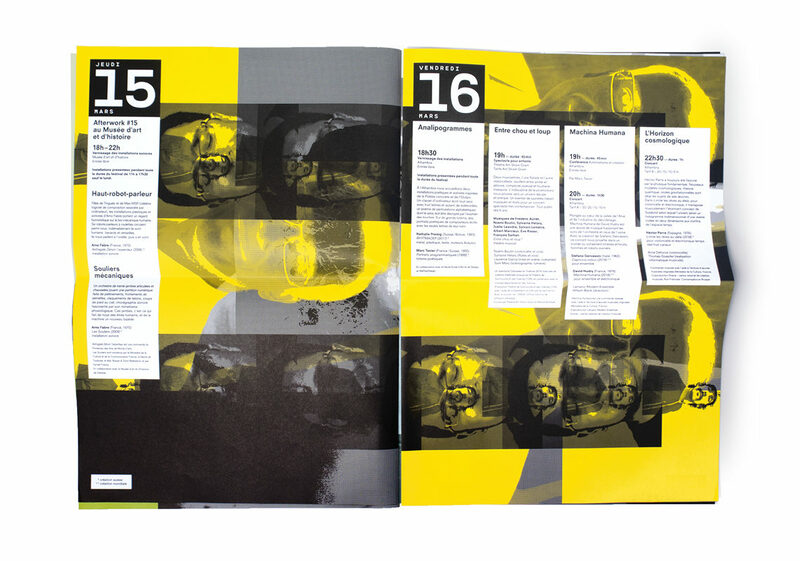 The interest of this algorithm is the fortuitous dimension of the experiment allowing an endless variation. 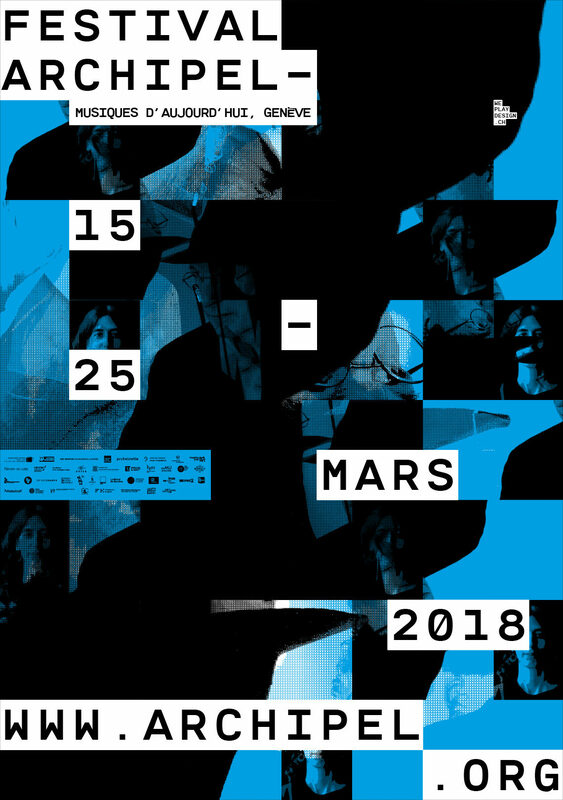 Chance plays an important, if not primordial role in the process, which freed the constraints of realization in order to focus on the concept and the process.